At the DeNardin Family Practice we cover all aspects of family medicine, from pediatrics (age 6 and older) to geriatrics. We strive to provide our patients with a warm and welcoming atmosphere, and we look forward to establishing long-term relationships with them. The office accepts major local health insurers, including: Blue Cross, Community Blue, Univera and Independent Health. Thanks to the Affordable Health Care act, health insurance in New York State is available to everyone. Please check with your insurance provider to determine if our practice is in your provider network. 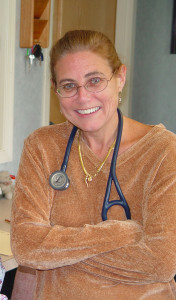 Dr. Ann M. DeNardin, MD, Ph.D.
Dr. DeNardin completed a Ph.D. in Immunology at the State University of New York at Buffalo in 1988 and received her MD degree from the State University of New York at Buffalo in 1999. Dr. Ann DeNardin was board certified by the American Board of Family Practice in 2002 and is accepting new patients. The difference between a physical and office visit.